Inspiration comes when you least expect it. During my walk back home, one of my friends flew past me with her long wavy hair. As she ran past me, all that I could notice was her hair flying in the wind. The way that the sun hit her hair was mesmerizing. It created a golden sparkle on every strand. That beautiful unexpected moment led me to paint Mist. Other inspirations came from my nature and literature course. During the course we read passages from several writers that used nature as inspiration for their work. Ralph Waldo Emerison was among them. Passages from his journal clearly describe his passion for nature. He discusses in full detail the special unique moments in which he observes nature’s beauty. 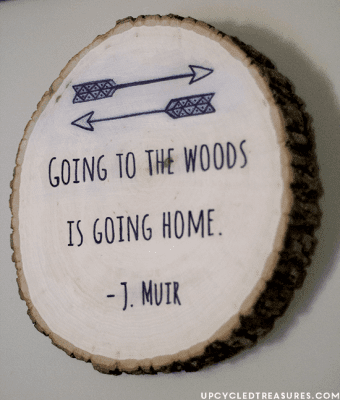 Not only does he mention the beautiful occurrences in the woods, but he also mentions his unique connection to it. In the woods he finds tranquility like no other. The nature writers of the past spoke about their special connection to the trees and the woods. In Wind-Storm in the Forests by John Muir, Muir takes his love for nature further. He rides the trees back and forth with the wind during a storm in the mountains of California. Muir is able to differentiate between various trees depending on the sound that they make when the wind blows, especially the Junipar and the Dwarf trees. Similarly to writers from the past nature has influenced me and my artwork immensely. I am very familiar to the peace and tranquility that Emerson felt when surrounded by the woods. When I was growing up I enjoyed being immersed by trees, bushes, insects, and the list goes on. I use to go mountain biking through the trails in the woods and purposely try to get lost. Not only did the scenery bring me peace but also the sounds of nature brought music to my ears. With every painting that I make I want to experience the peacefulness that nature bestows upon me time and time again. In this painting the female figure is being guided towards an unfamiliar place to the right. Although it seems bright and welcoming it is unfamiliar to her. 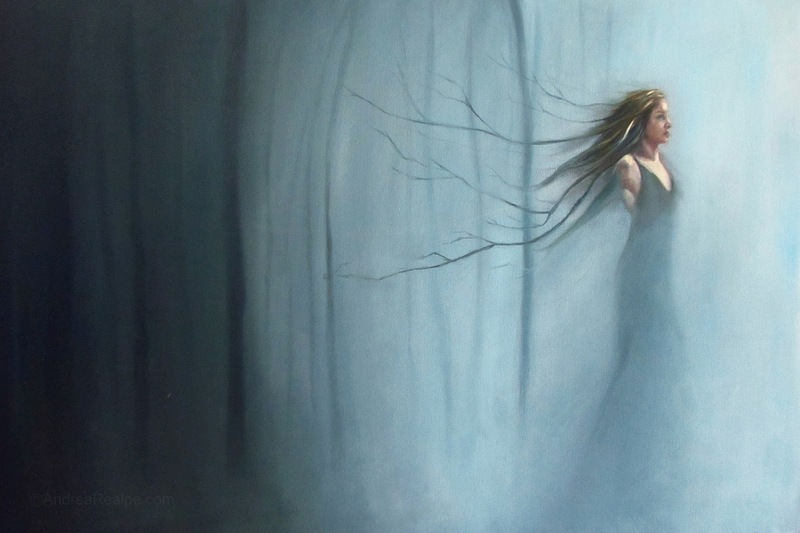 The branches that are growing out of her hair suggest that she longs for stability. She wants to grow roots and remain in a place that is familiar. She does not know what the future holds but she knows that she can turn to nature at any moment for strength.